International students, caught up in the immigration changes in the ACT, say they are experiencing financial hardships and mental stress due to uncertainty over their future in Australia. International students caught up in the ACT immigration imbroglio say their dreams of a future in Australia will be shattered if the government doesn’t roll back a policy change that has rendered hundreds of them ineligible for a permanent migration pathway. Hundreds of international students have moved to Canberra from all over Australia after the ACT Government announced a policy last year to support permanent residency applications even when their nominated occupation was not marked ‘open’ on the in-demand occupation list. In order to avail this, applicants were required to have lived in Canberra for 12 months and complete at least a certificate III-level course from a local education provider before they could make an application for state nomination for the permanent visa (Subclass 190). However, the policy was partially rolled back on 29th June this year- leaving hundreds in limbo. Kanish Chug quit his financial analyst job with a top bank and moved to Canberra in February this year after completing his master's degree in accounting from a university in Melbourne. He enrolled himself in an MBA course at the University of Canberra. 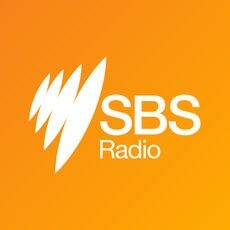 “I was short by five points for my permanent residency and I thought I would be able to cover that by state nomination from Canberra,” Mr Chug told SBS Punjabi. But his occupation of Accountant was among those shut down in the policy change without any prior notice, making him ineligible to apply for a state nomination for a 190 visa. Mr Chug says he was already experiencing mental stress due to his personal circumstances and the development “considerably” exacerbated this. “I am not able to concentrate on anything due to the stress it has added. So much so that I wasn’t able to concentrate on my job at a mortgage broking firm and I was sacked as a result,” he says. Mr Chug has had to defer the second semester at the university after advice from his doctor. "Financial hardships compound the stress"
Mr Kumar* is currently on a post-study work visa and he also moved to Canberra earlier this year in order to get additional points required for permanent residency as an IT professional. Like Mr Chug, his prospects are also uncertain. “I had already spent $70,000 on my education in Sydney since 2015, and I didn’t even need it but because it was a requirement, I spent another $8,100 on a diploma course in the ACT. “But what happened to me- overnight they changed the rules,” he tells SBS Punjabi. Mr Kumar drives an Uber, which he says is barely enough to pay his house rent and meet the day-to-day expenses. “I’m driving for 14-15 hours a day on Fridays and Saturdays and 5-7 hours on other days to earn just enough to barely scrape through. With a lot of students having moved here in the last one year, house rents have gone through the roof, while the availability of work has of course shrunk,” Mr Kumar says. Rajiwinder Kaur who came to Australia in 2008 as a student is also in the same boat. She moved came to Canberra in December last year after her a number of unsuccessful bids at Australian permanent residency. “Each time I applied [for permanent residency], the required score on points test was raised. Canberra’s policy was the reason that we quit our settled jobs in Sydney to move here. And now the Government has changed the rules here too,” Ms Kaur said. ACT Chief Minister Andrew Barr. While she is pursuing an MBA degree in Canberra and her husband works as a truck driver, their 7-year-old daughter is living in India with her grandparents. “Our lives here are full of struggle, so we decided to let our daughter be with her grandparents in India until my permanent residency. But now even this thing here having gone awry, our family reunion is at stake,” Ms Kuar told SBS Punjabi. “It’s a very stressful situation”. The Council of International Students Australia- the peak representative body of international students in the country says its concerned about the wellbeing of the students caught up in this situation. “We have received numerous representations from students in Canberra and some of them have told us about the mental stress they are experiencing as a result of this,” CISA President Bijay Sapkota told SBS Punjabi. The ACT Government said the partial closure of it immigration program was necessitated by the oversubscription to 190 visa. It announced a review of the program last month. Mr Sapkota said CISA would recommend to the ACT Government to reopen the nomination program for students who were genuinely residing in Canberra before the program was partially closed on 29th June. “The government has made us aware of their concerns about the possible misuse of the program by some students who are not residing in Canberra. But we are saying allow the genuine students to apply, scrutinise all the applications for any fraud,” he said. International students are holding a protest demonstration outside the ACT Legislative Assembly later today to demand reopening of the immigration program. While the Federal Government is reportedly considering locking new migrants in regional areas for five years, migrants who have lived in those areas are asking the Government to do more to encourage migrants to settle there. The Services Union has alleged that Indian workers at the Brisbane City Council are made to accept low pay and work long hours using threats of deportation.